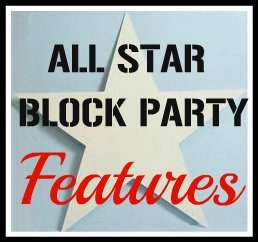 I had such a fun week guest co-hosting the All Star Block Party! It was great seeing all the awesome projects you linked up. You can check out last week's party here. Before the next party gets started I wanted to share my features from last week. I enjoyed seeing all the Halloween crafts, recipes, and decorations. But, you know I'm all about organizing, so I figured I would feature links about organizing! Here are my favourites. I love this toy box that Megan from Our Pinteresting Family made out of an old stereo. Upcycling at its best and it's a great place to store toys in a way that looks pretty! 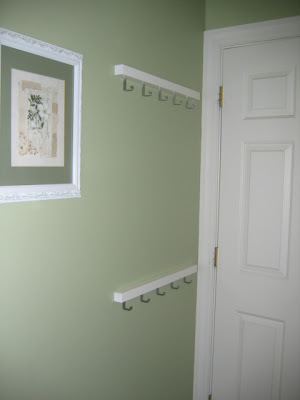 Christa from Controlling Craziness shared these great hooks she put up behind her door. I love that they are flush with the wall and don't stick out very far, and of course that they will help keep coats and bags off the floor. Sherry from Inspiration Cafe made this great cork board calendar (and included a tutorial so you can make one too!). I love the painted mini clothespins that she glued to pushpins too, so you don't have to pull the pins out to stick your paper up or get holes in the things you're pinning! This movie inventory Rebecca at Time to Organize made is a very organized way to keep track of movies. It's even categorized and colour coded so you can quickly find what you're looking for. 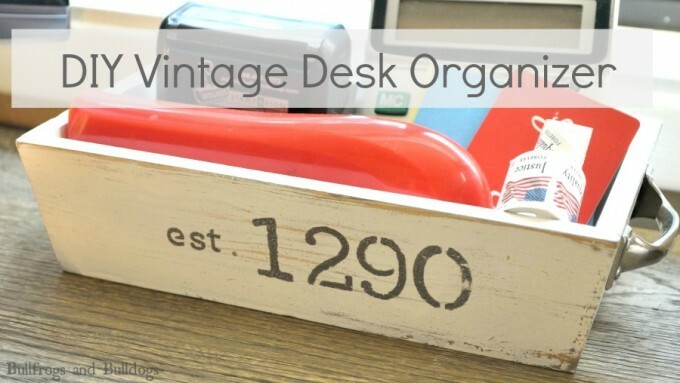 Amanda from Bullfrogs and Bulldogs made this beautiful vintage desk organizer out of an old wooden tray she bought at a thrift store for $0.99. Just goes to show that being organized doesn't have to cost a lot! 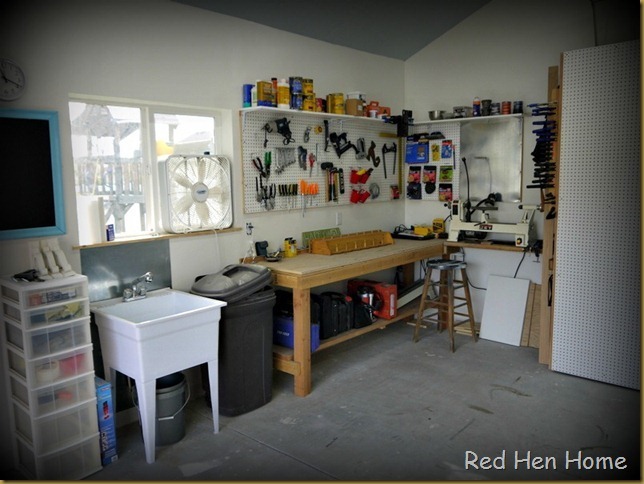 I love this organized workshop from Korrie at Red Hen Home! Pegboard on the walls and doors is a great idea. 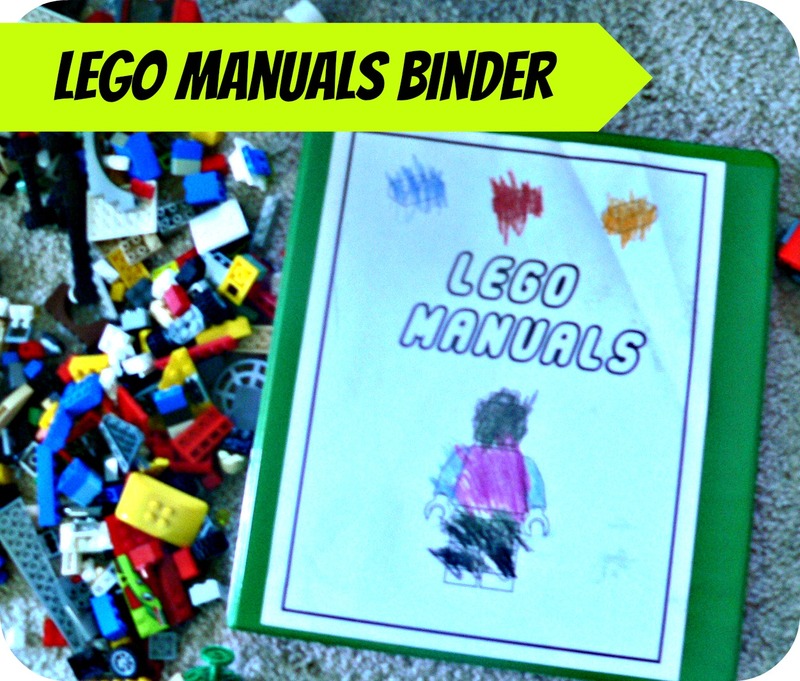 And, last but not least, this Lego manuals binder is a great idea for keeping all those Lego manuals organized. Danielle from 2 Little Superheroes also shared a free printable cover you can use if you make one of these yourself. Congratulations on being featured ladies! Don't forget to grab the featured button below. Thanks again to Shasta for including me as a guest co-host at the party! And once again, thank you to Shasta, Holly, Meg, and Heather for hosting this party every week. I look forward to seeing what you all link up this week! Happy Halloween to all of you and be safe! Well, THANKS for featuring my corkboard calendar! It has been such a help in our busy lives and I'm so happy to see it shared. Have a great night and stay safe and warm. You're very welcome Sherry! It's so important to have a system to keep track of all the goings on in our families. You have a great night too! You're welcome Megan! It's a great storage solution and I love how pretty it is :) Have a great day too! Thanks for featuring the hooks behind my door. Glad so many people liked it. I love things that actually work and help with organization. You're welcome Christa! It's great when something small makes such a big difference in staying organized.